The opening moments of Venkat Prabhu’s debut film seem to be setting the scene for a retelling of West Side Story, with two rival cricket teams called the Sharks and the Rockets replacing the American street gangs. But surprisingly the rivalry between the two teams isn’t the focus of the story at all. It’s smarter than that. 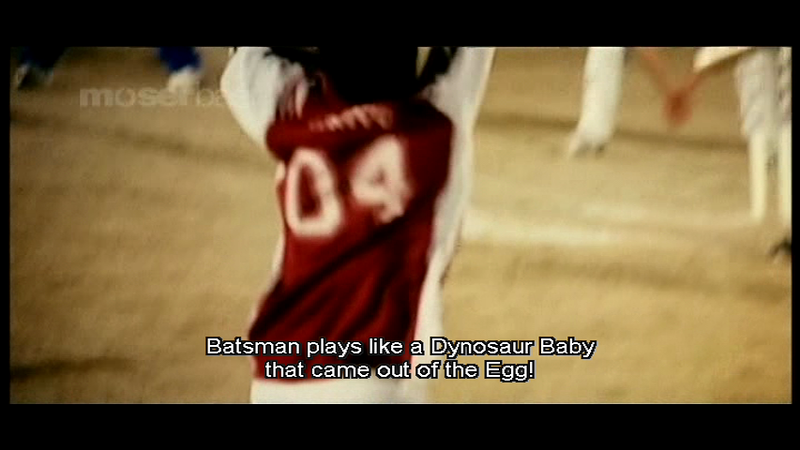 Yes, there is plenty of cricket and even some cross-team rivalry, but Chennai 600028 mainly follows the different players from the Sharks team for one year, with all the highs and lows you’d expect in any character drama. 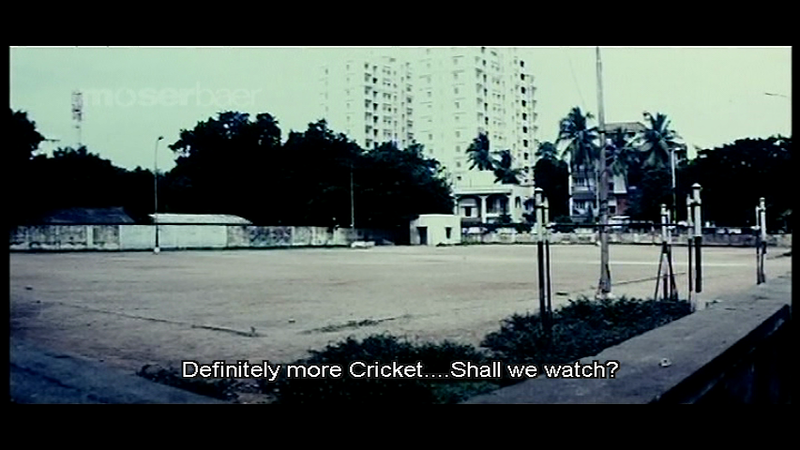 Essentially, it’s a story about an everyday group of friends, connected by locality and a passion for their cricket team. None of the actors were well known at the time, and they all fit easily into the roles of regular guys, some of whom have jobs and some of who are still at college, but who all hang around together to play gully cricket. With some clever dialogue and good situational comedy, Venkat Prabhu ensures that despite a rather rambling storyline, the film has plenty of laughs and enough memorable characters to make the film an entertaining watch. The Sharks team live in the Chennai area of the title and are introduced one by one by a narrator who describes them by their cricket skills; although generally some other identifying characteristic is also given. This is incredibly useful as there are 10 named team members and it’s very easy to lose track initially of just who is who and where they fit into the team. 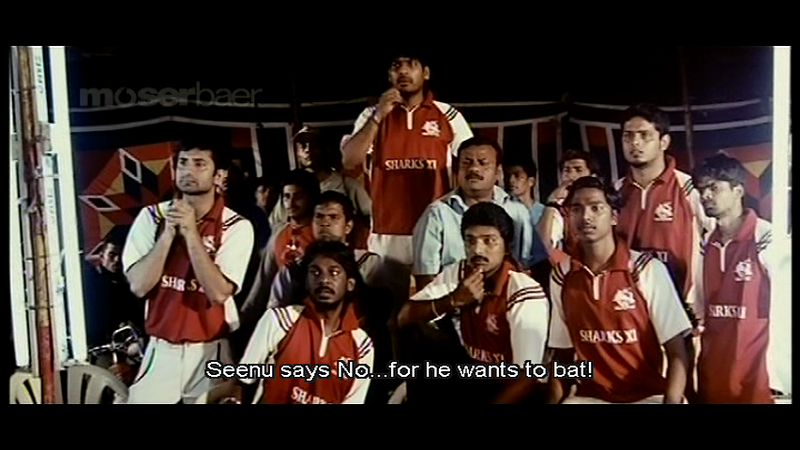 The film starts off with the defeat of the Sharks for the fourth time by the Rockets, mainly due to a dismal performance from supposed ‘all-rounder’ but actually terrible player and tail-ender Seenu (Premji Amaran). He’s the bumbling fumbler who cannot take a catch to save his life, but is generally loud and obnoxiously cheery despite his limited cricketing talents. Premji is a little more restrained here than in later films such as Goa, and he’s mostly funny thanks mainly to a good rapport with the other characters and some witty and well written dialogue. I didn’t know that Premji was also a musician, and he is responsible for the background score as well as one of the songs – pretty impressive! Along with their most recent defeat, the Sharks players all have their own problems, although lack of money is the most regular feature in their discussions. The money is for their regular drinking sessions, which allows them to sit and talk about life, cricket and women, which eventually leads back to money, of course! It all fits in well with their various personalities and since the characters are all engaging and seem to fit well into their roles it comes across as a genuine look at life in the area. Plus we get this song, which perfectly captures the group of friends out drinking and having a good time. Things change when Rocket team member Raghu (Jai) moves into the Visalatchi Thottam area with his family. Raghu feels that his world has come to an end, nicely illustrated by some excellent histrionics in the bathroom, and this does indeed seem to be possible given his initial reception by the locals. He’s looked on with suspicion and to add to his woes, his old team are too far away for Raghu to make it to regular practices, meaning he’s left out of their line-up for matches. 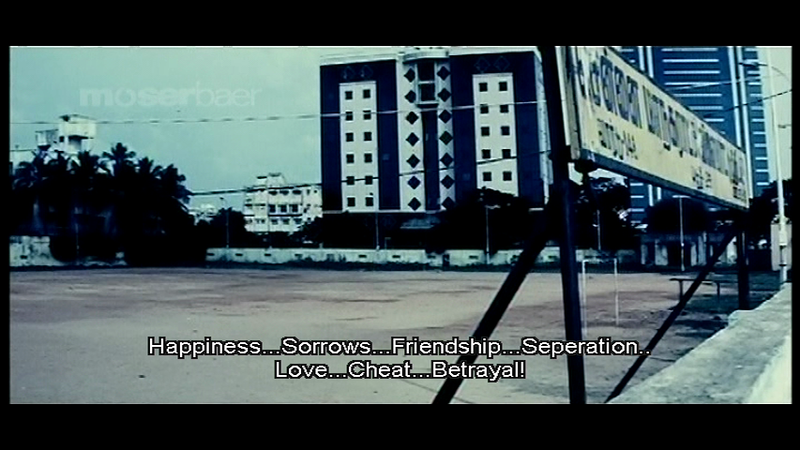 Raghu is one of the central characters for the story and Jai is excellent here in his first main role. His initial arrival into the new area is hilarious, and in just a few scenes he imbues Rahgu with plenty of charm and appeal, making his eventual acceptance into the rival team seem more plausible. 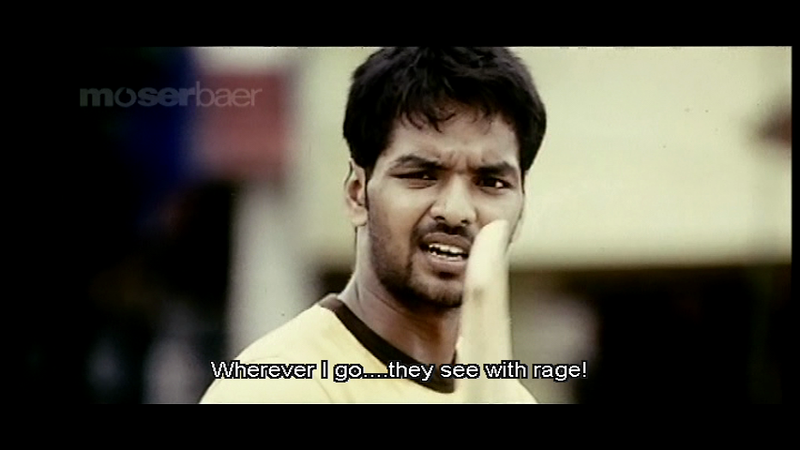 His resemblance to Vijay is also part of the comedy, but best of all are his scenes with Karthik (Shiva Sundaram) starting from when a fight seems inevitable. Karthik is in love with Selvi (Vijayalakshmi) who is the sister of Karthik’s teammate Pazhani (Nithin Sathya) and therefore, for some obscure reason, off limits. Raghu’s father on the other hand is friendly with Selvi and Pazhani’s father, so inevitably Raghu is often seem chatting to someone who does at least acknowledge his existence. Karthik has some wonderful lovelorn expressions as he sees his rival on the field appear to become his rival in love and the interactions between the two potential adversaries are very well done. Aravind (Aravind Akash) is also in love with a wealthy girl Swetha (Kristine Zedek) who regularly comes in to the coffee shop where he works. This is a rather more implausible romance, which is made more unlikely by the couple mainly only appearing together in song. These romantic songs also slow down the pace of the film and seem somewhat out of place in an otherwise more realistic and upbeat film. Aravind is fine in his role as part of the cricket team and amusing as a guy in love but Kristine has very little to do and doesn’t impress in her few moments on screen. There is a side plot involving Karthik’s brother Guna (Sampath Raj) but mainly the action revolves around the team members, their relationships with each other and their ambition to finally win the Radio Mirchi Cup. There are no standout heroes, just a regular group of mates and that’s what appeals most about the film. Venkat Prabhu has captured plenty of camaraderie, but included discord and division to spice up the story and the blend is just about perfect. 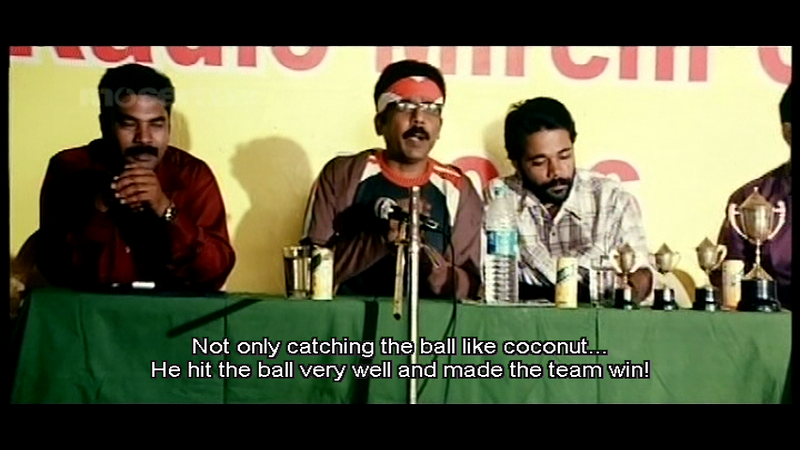 The cricket scenes are nicely placed in the film too – not too many, but enough to keep focus on the team rather than on just the individuals. The commentary is also excellent (although that just might be my subtitles) and reflects the general standard of cricket commentary the world over! Chennai 600028 is an excellent début and a good indication of what to expect from Venkat Prabhu as he uses most of the same ingredients (and often the same actors) in his subsequent films such as Saroja, Goa and Mankatha. Mainly Chennai 600028 is a film about people, their lives and their dreams, and only after those details are fully realised is a story superimposed on top. It works because of the very ordinariness of the characters – these are guys that can be seen on every patch of ground, anywhere it’s possible to set up stumps and standing around on every street in Chennai. That is the charm of the movie. Recommended for excellent performances, witty dialogue and a film that captures the intensity and ubiquitousness of street cricket in India. 4 stars. This entry was posted in Kollywood and tagged Aravind Akash, Chennai 600028, Jai, Kristine Zedek, Nithin Sathya, Premgi Amaren, Premji Amaren, Sampath Raj, Shiva Sundaram, Tamil, Venkat Prabhu, Vijayalakshmi, Yuvan Shankar Raja. Bookmark the permalink.